Sign up for the Genymotion account. After logging in download Genymotion from this link. Download and install Virtualbox from the this link. 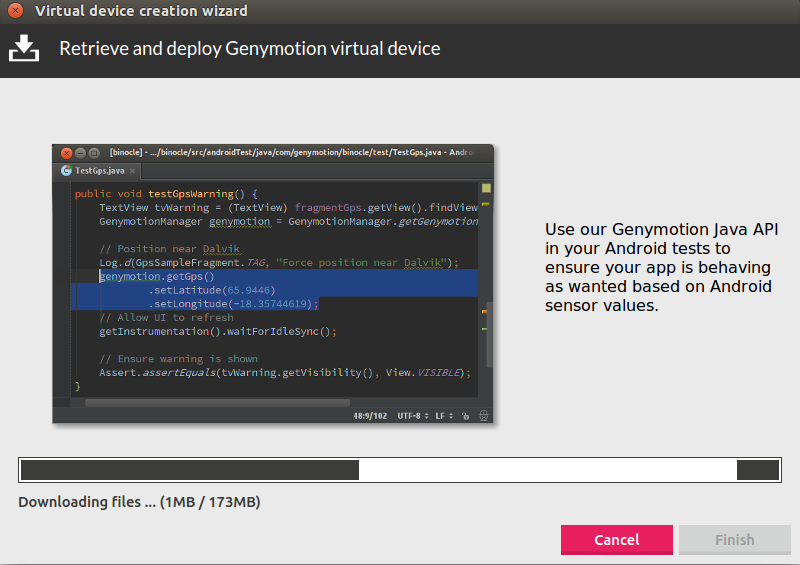 Now navigate the Genymotion from the terminal. It will ask for the installation like below screen shot. 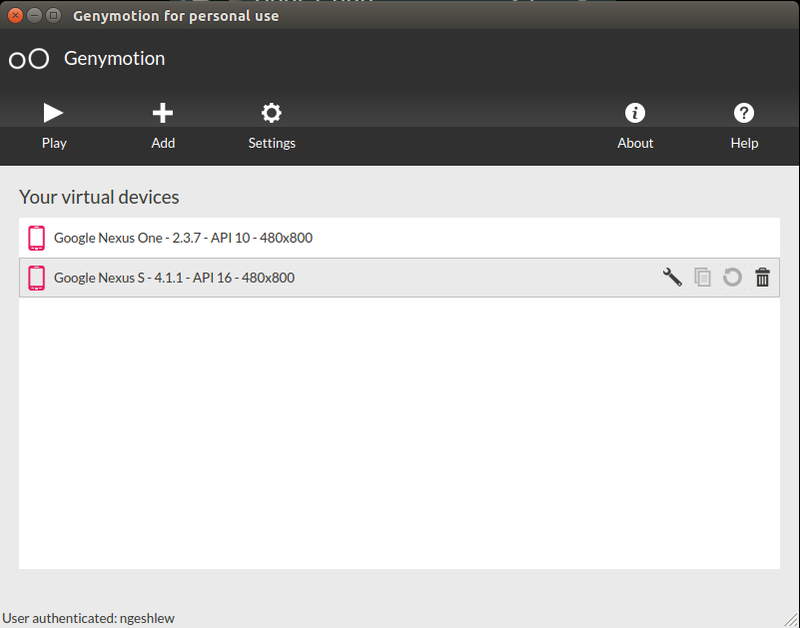 Now login with your Genymotion username and password. Click add from the Genymotion home screen. 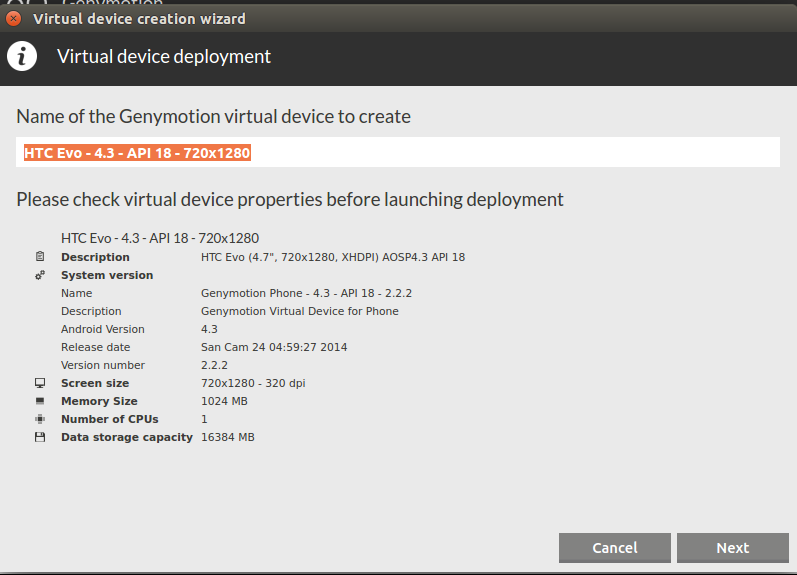 and Select a virtual device from the Genymotion cloud and click Add. Now you can see the screen like below. 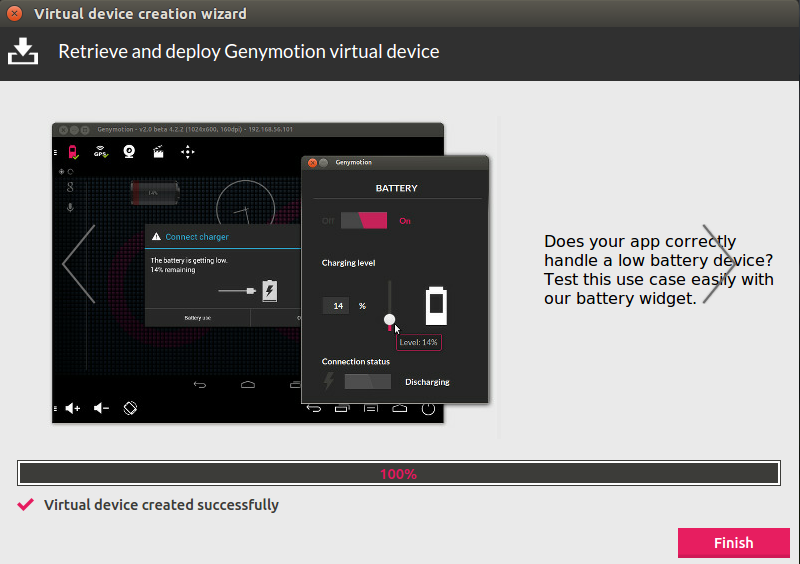 You will be asked to enter a name for the Genymotion virtual device. 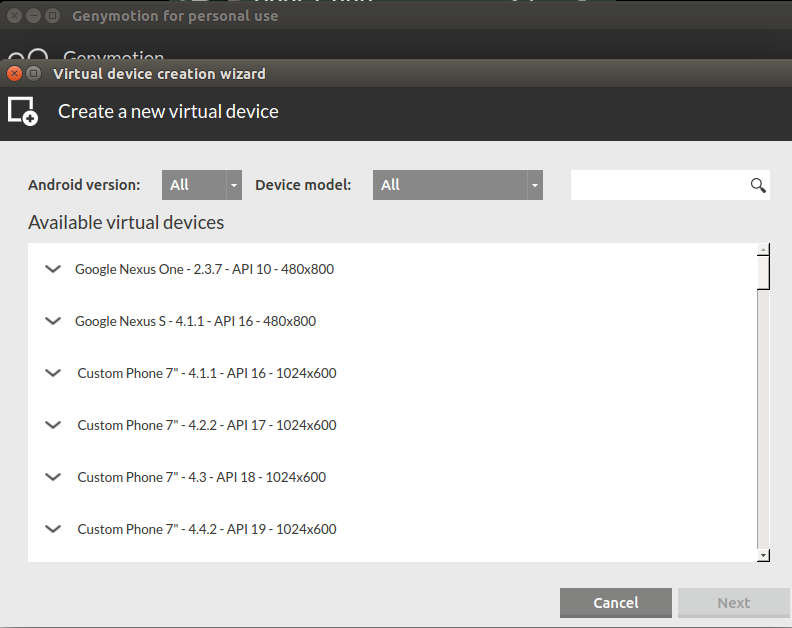 Enter a name and select Next to begin the download of virtual device. The successful installation will display you the below screen. It will list the created virtual device in “Your virtual devices” in the home screen Then select play to start your virtual device. 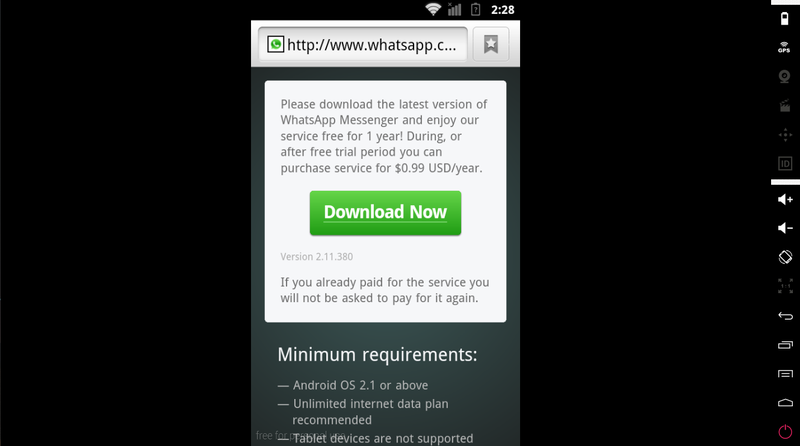 Now I show you how to download WhatsApp on the device. 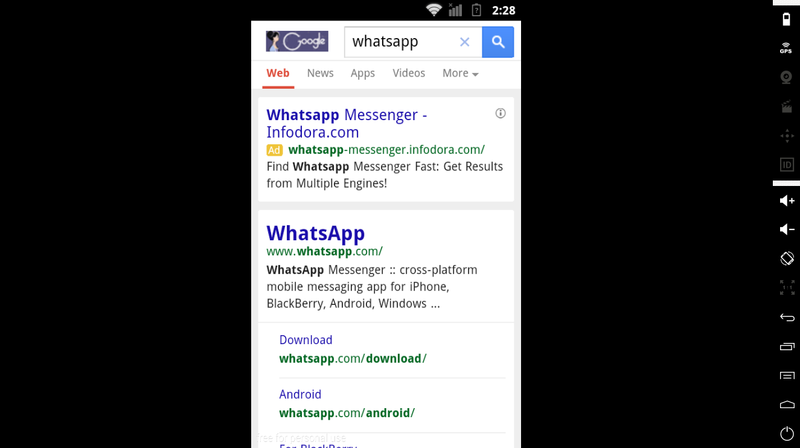 Go to the Default Android Browser and type “WhatsApp”, click on the Android one and download it and install. Open it after installation, put in your Country and key in your Phone number. Go to verify. 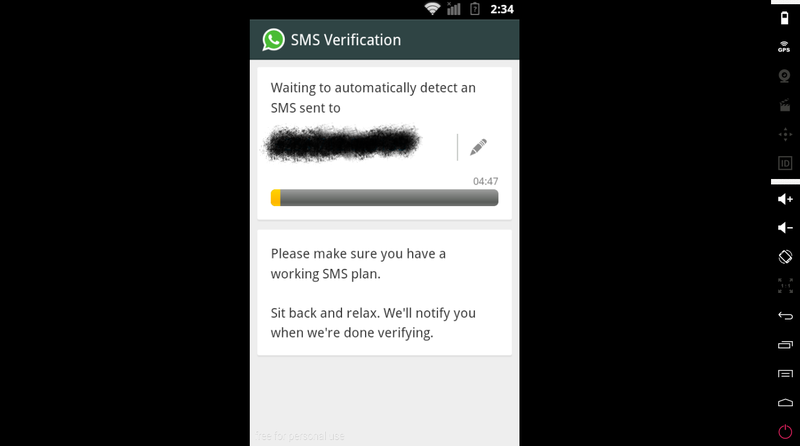 Wait patiently for it to fail verification. You will receive a code on your phone. Key it in the space given. It will verify and there you go!! 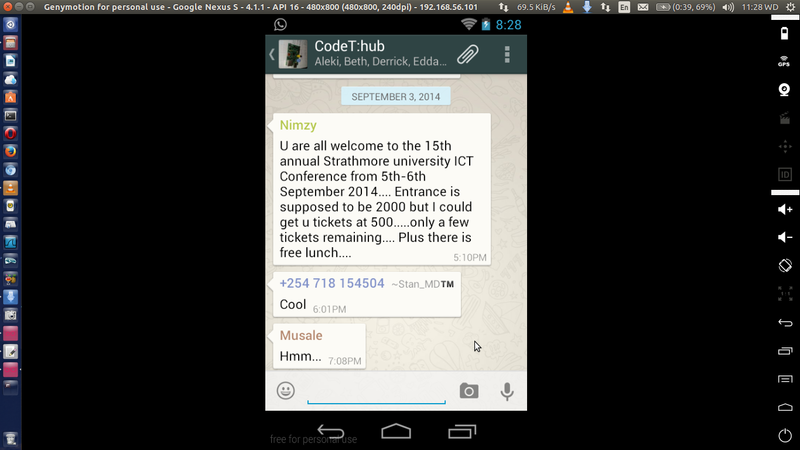 Enjoy the WhatsApp on your PC. Check this link and follow the steps. It’s easier.